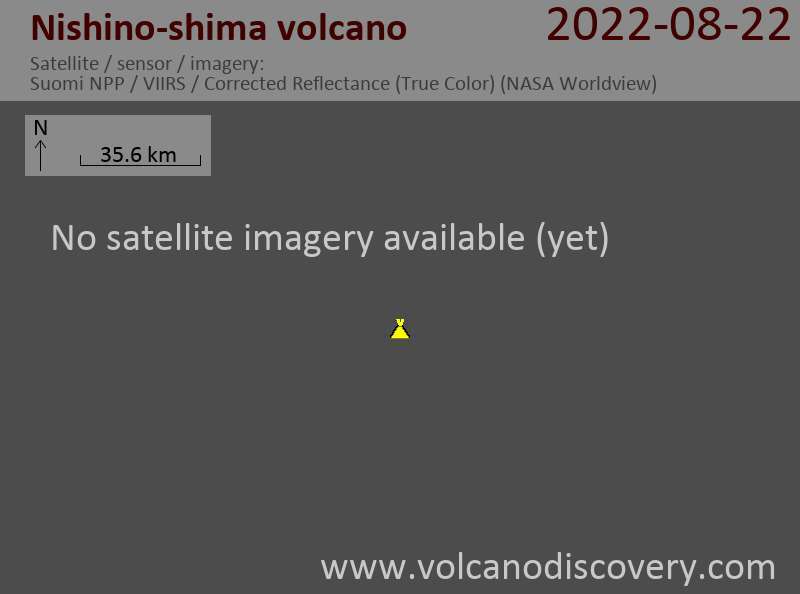 Nishimo-shima volcano (西之島, literally: Western Island, also: Rosario Island) is the tiny submerged part of a caldera in the northern Volcano Islands of Japan. 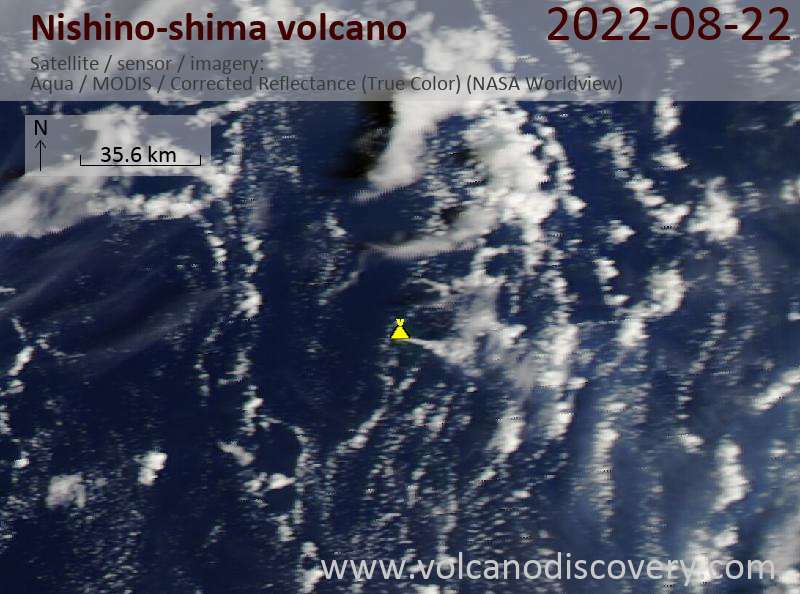 The small 700 m wide island was significantly enlarged during the last eruption in 1974, which joined several new islands that formed then. Water discoloration due to possible minor eruptions and / or shallow submarine hydrothermal activity in the area is a frequent sight. The mostly submerged volcano is a massive seamount with prominent flank cones on the south, west and NE flanks. The southern cone rises to a depth of 214 m below the sea surface, 9 km SSE of Nishino-shima. С середины апреля новый тепловой сигналы были запятнаны на спутниковых данных, поступающих от острова. Вскоре позже японской береговой охраны посетил остров и подтвердил, что новое извержение продолжается.